addressing the vulnerable through professional development. As ECEC's policies and systems evolve, so does the work and expectations of those working in the field. This emphasizes the importance of enhanced, continuous professional development. 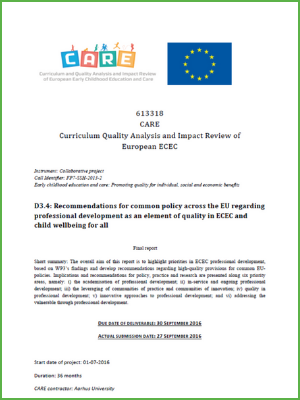 You may also like Report on “good practice” case studies of professional development in three countries from the CARE project.